New Walk issue 7 is now available! 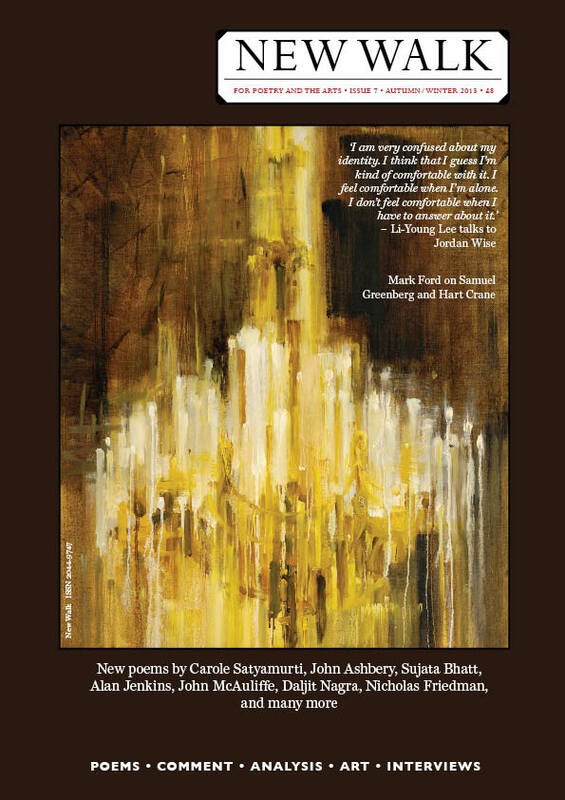 New poems by John Ashbery, Sujata Bhatt, Carole Satyamurti, Daljit Nagra, Eleanor Rees, John McAuliffe, Matthew Stewart, Alan Jenkins, Frances-Anne King, Richie McCaffery, Carrie Etter, Melissa Lee-Houghton, Andrew Pidoux, Nicholas Friedman, Carolyn Jess-Cooke, Andrew Taylor and many others. Jordan Wise interviews Li-Young Lee. Mark Ford on Hart Crane and Samuel Greenberg. Ian Parks on Chartist poetry. Tony Roberts on Randall Jarrell. And Quincy R. Lehr lances a few boils. There are also images by Sarah Kirby. Oh – and much more, of course. This is a magazine you want to buy, isn’t it? http://www.newwalkmagazine.bigcartel.com. 2 Responses to New Walk 7 arrives! Just got my copy this morning 🙂 Looks great.